Generations have been playing with construction toys, and toy bricks have never been more popular. 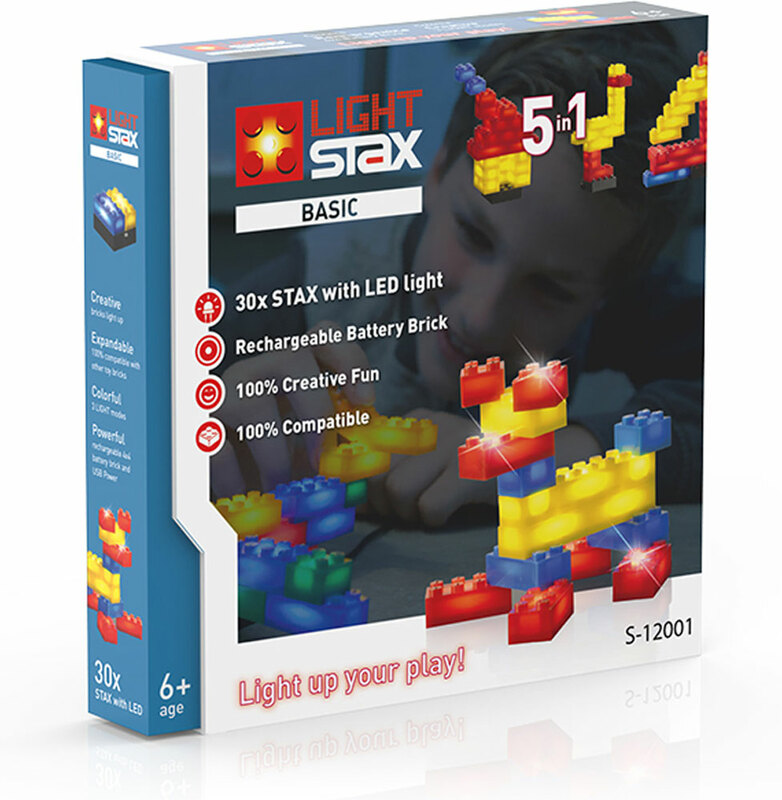 Now the play experience can be enhanced with Light Stax! Build with light and light up your creations. Each brick lights up when connected to a power source since each one has its own LED. There are three light modes: instant on, flashing, and glowing. Lights can be set to stay on or 15-minute auto off. The sound activation base has a function setting that makes the lights flash with sound. 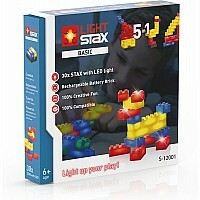 Light Stax are fully compatible with other building blocks of similar size. 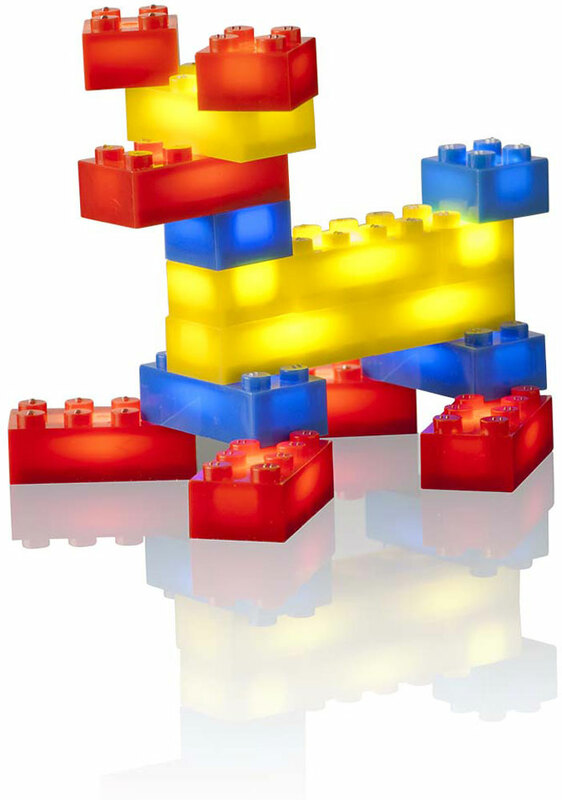 The Light Stax Basic Set contains blocks compatible with Lego®-sized bricks, and contains instructions for building multiple models. This set includes 30 bricks in two sizes. The 8-peg brick measures 1-1/4" L x 5/8" W x 1/2"H.
Measures approximately: 8.30 x 1.70 x 8.30 inches..